Not all hobs are created equal. Many hobs must be designed before production, and gear manufacturers who seek the most from their cutting tools choose suppliers that not only design but also engineer their hobs. An engineered hob considers the entire hobbing application and can optimize a rough or finishing hobbing process. Consequently, the hob increases productivity, provides longer tool life, and reduces cost-per-piece. Expert hob manufacturers request at least a part print before hob design. Even better, the hob supplier will collect information about the entire hobbing application. 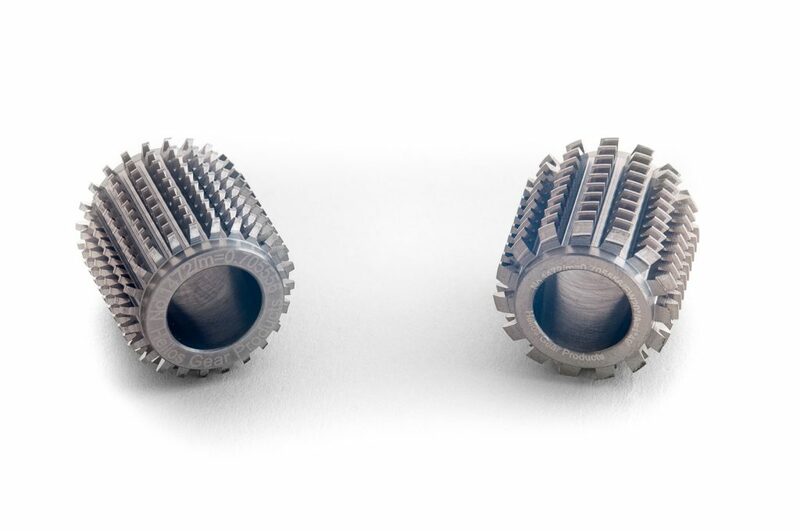 With this detailed information, the hob manufacturer can engineer specifications that positively impact the gear hobbing application. Without a drawing and other important application information, or if the manufacturer merely provides “generic” hobs, decisions on hob design are made for an average case. Thus, if an optimized hobbing application is the goal, an average hob design will likely fall short in competitive performance. This example illustrates that at a 50% increase in hob cost may be recouped after cutting only 427 parts. For medium- to high-volume jobs, an engineered hob is obviously preferred, provided it delivers on its promises. Consider, too, that shorter cycle times mean quicker turnarounds and increased machine time availability. Today’s top gear manufacturers know this is one key to remaining competitive. What aspects of a hob’s design can be engineered? Consider the hob’s material. Not only are there a variety of high-speed steels available today, but the same is true for carbide. By knowing the exact hobbing application (work piece, machine, clamping strategy, automation, cutting process, pre- and post-operations, etc. ), the tool manufacturer can optimize the choice of hob material. Moreover, because tool materials require heat treatment, even this process can be optimized. Consequently, the tool’s hardness, toughness, and other physical properties may provide improved wear resistance (tool life) and cutting speeds (productivity). For pre-finish hobbing, the tool designer may also study the exact finishing process that will be used. 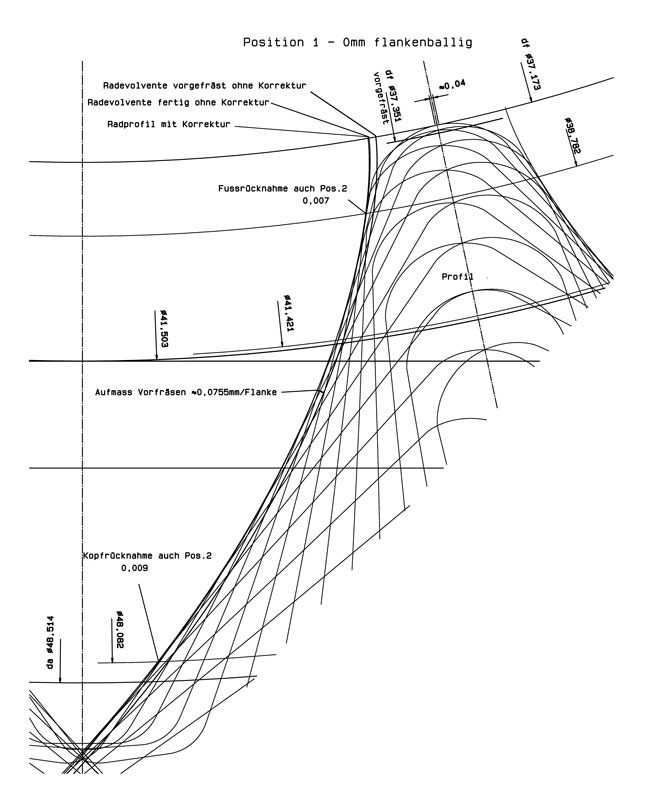 Accordingly, an optimized hob tooth profile for the roughing operation can be engineered. 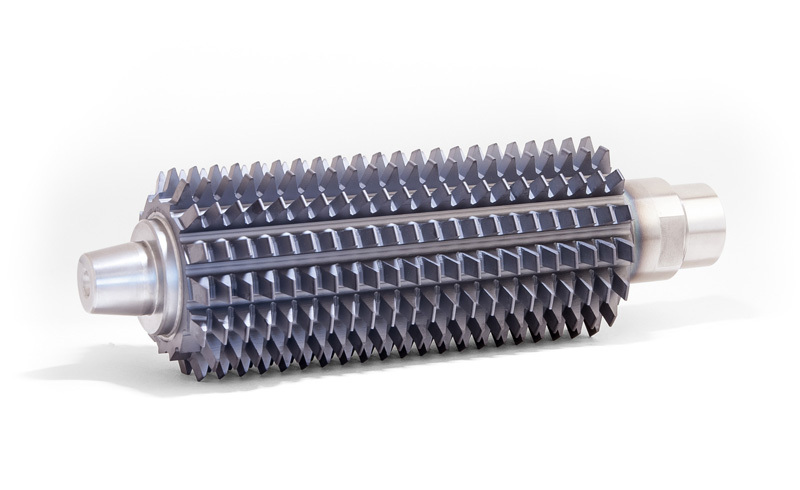 This may improve rough hobbing performance, but it can also benefit the finishing process. For example, the pre-finish hob can be engineered to hob an optimal stock on each tooth flank for the specific application’s work piece material, tooth geometry, and heat treatment process. This can lead to extended hard finishing tool life and/or shortened hard finishing cycle times. Similar thinking can be applied to a re-hobbing finishing process. Furthermore, this type of hob engineering can impact design choices for coating, profile and lead modifications, thread starts, number of flutes, tooth relief, hob grinding method, and more. To make the most of a hob, the gear manufacturer should fully discuss all possible parameters with the tool manufacturer. In conclusion, a tool manufacturer can engineer an optimized hob for measurable improvements in productivity. However, this engineering requires the tool manufacturer to consider the full context of the specific hobbing application. It also requires a tool manufacturer with the appropriate level of expertise to deliver a hob’s full potential. Consequently, gear manufacturers can open new doors for their production to remain competitive for the future.